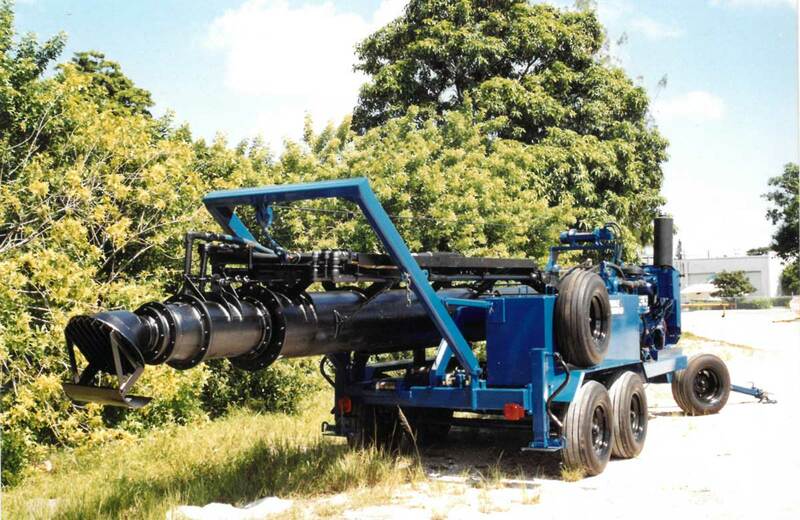 Our mobile water pumps are complete pump stations on wheels. 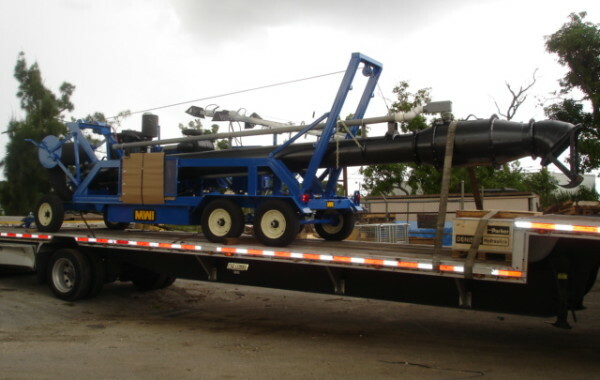 They can be moved quickly and easily to your location of choice. 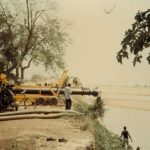 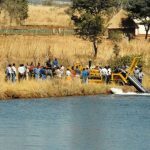 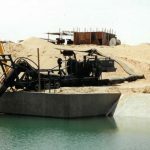 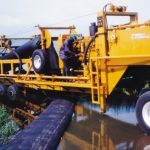 Because of their easy mobility, these portable diesel, portable electric-diesel and portable electric water pumps are operational within minutes. 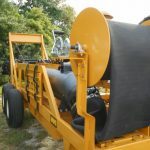 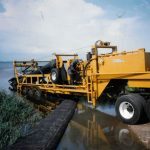 The Mobile Hydraflo™ pump is a portable version of the standard Hydraflo™ water pump, with its drive unit connected to the pump head by hydraulic hoses. 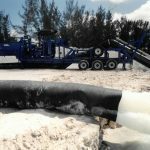 This pump provides low- to medium-head pumping capabilities that are unsurpassed by other portable pumps, especially when it comes to serious pumping after flooding or in high-volume drainage jobs. 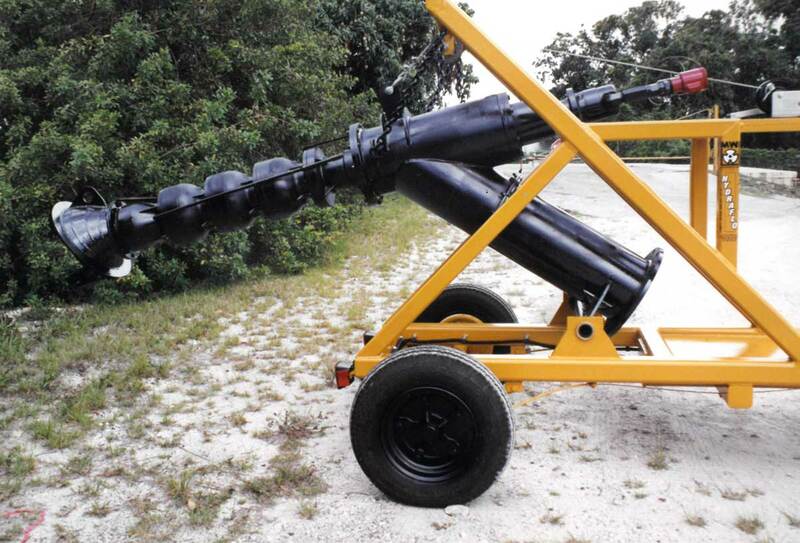 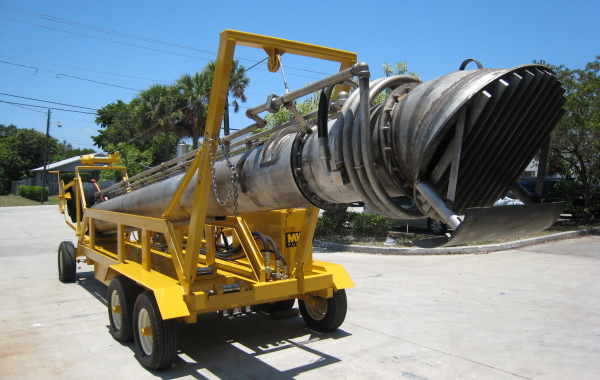 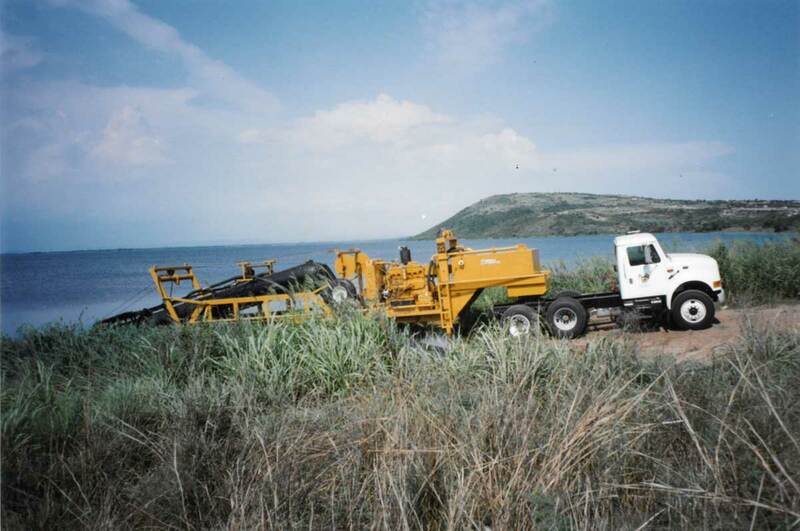 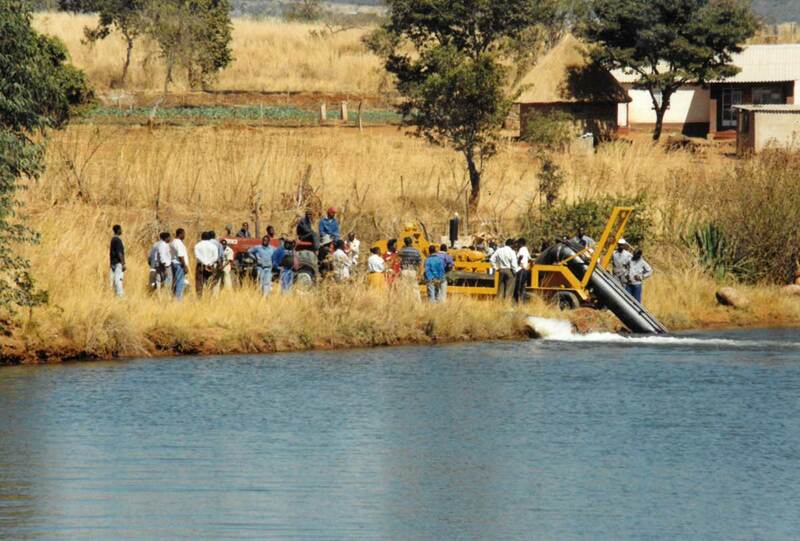 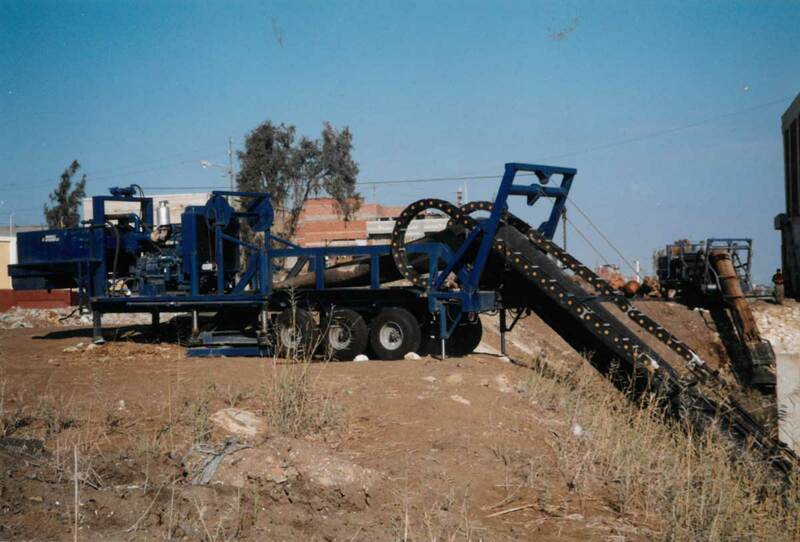 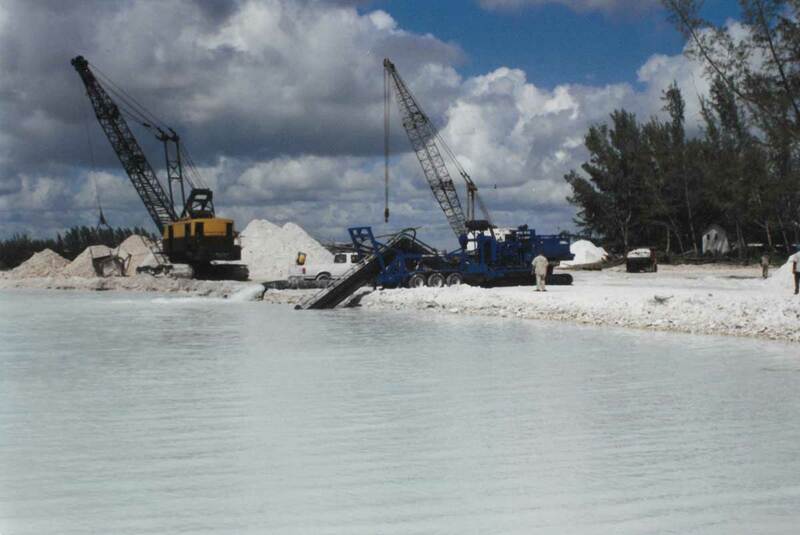 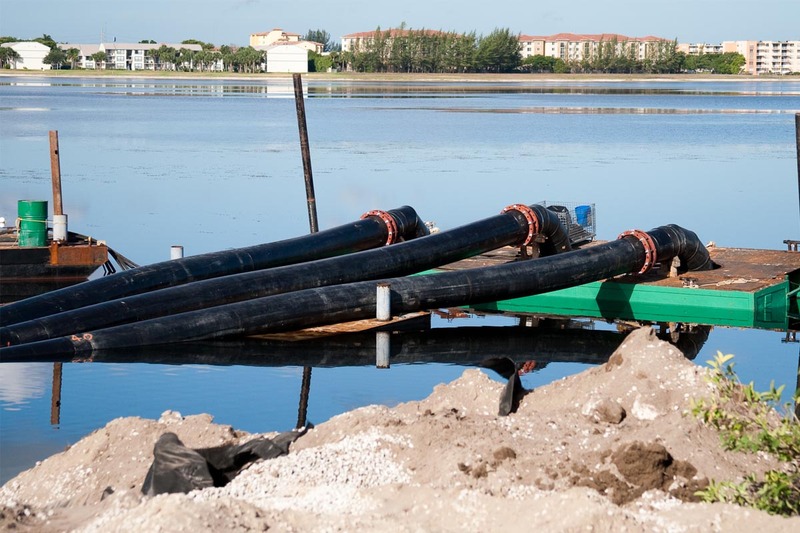 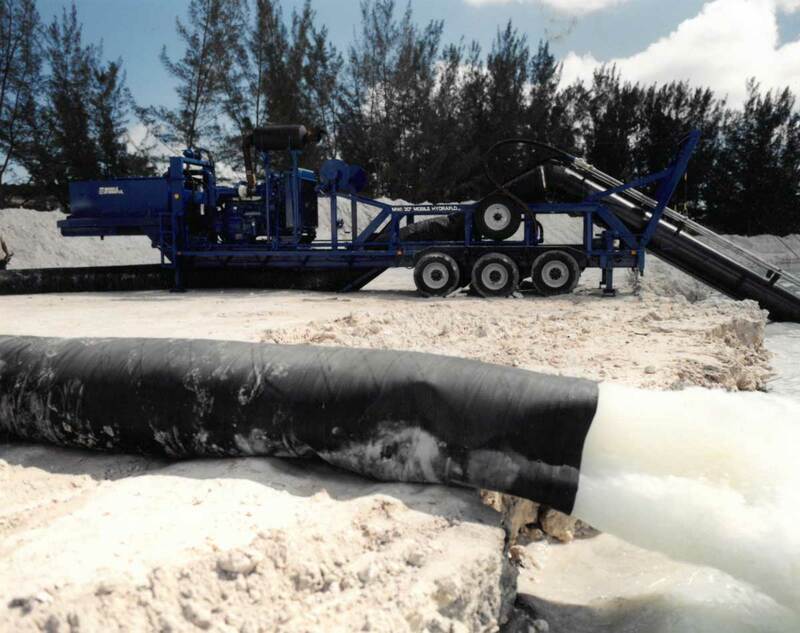 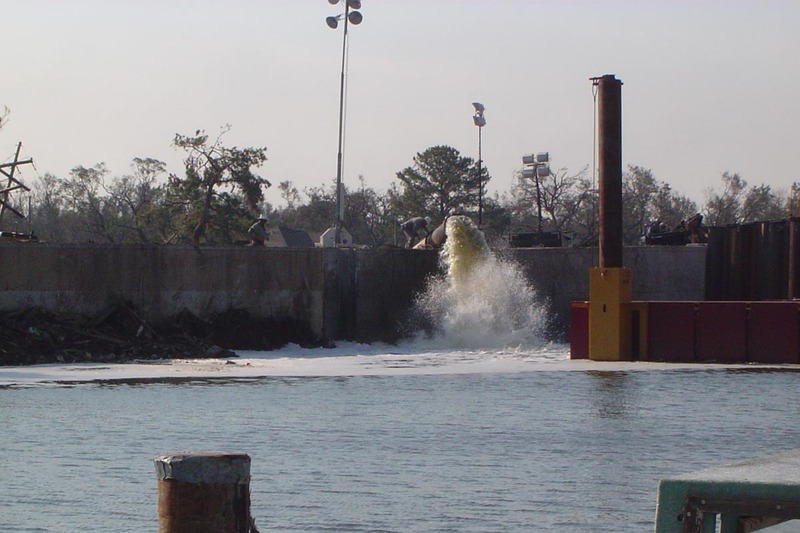 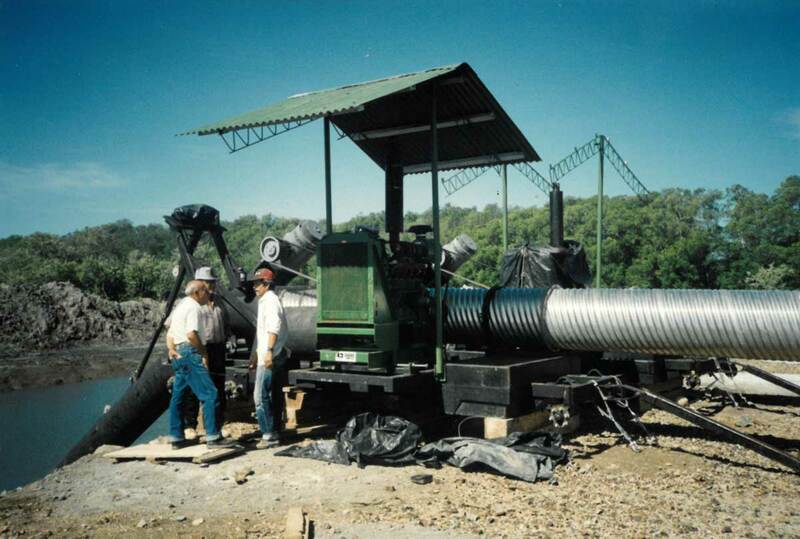 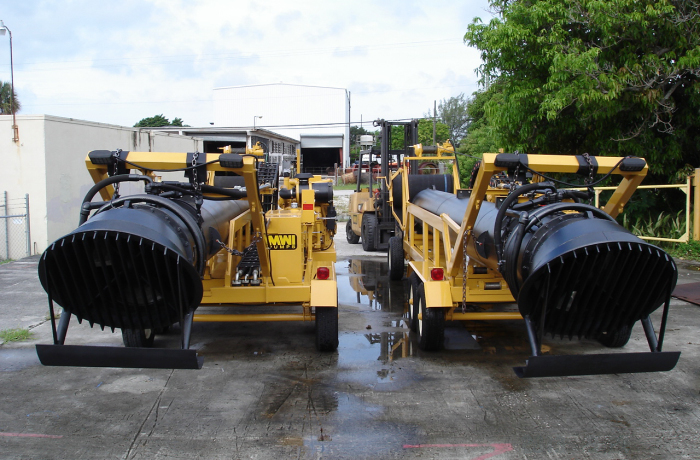 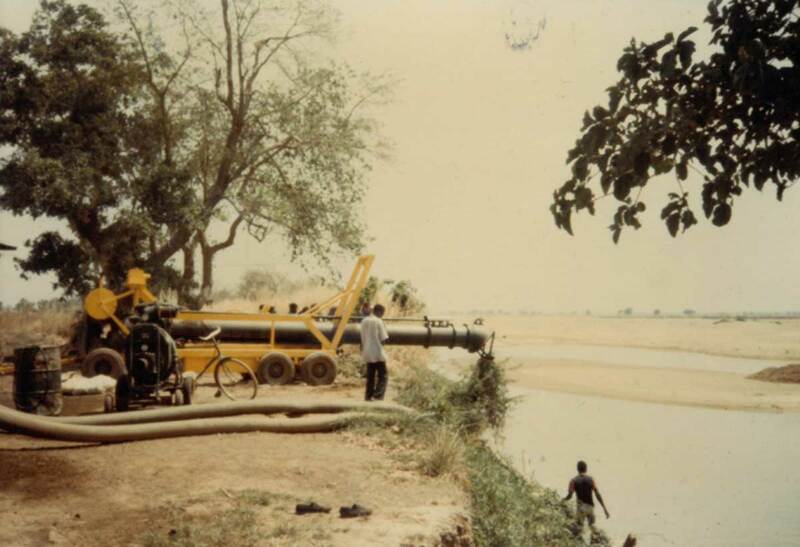 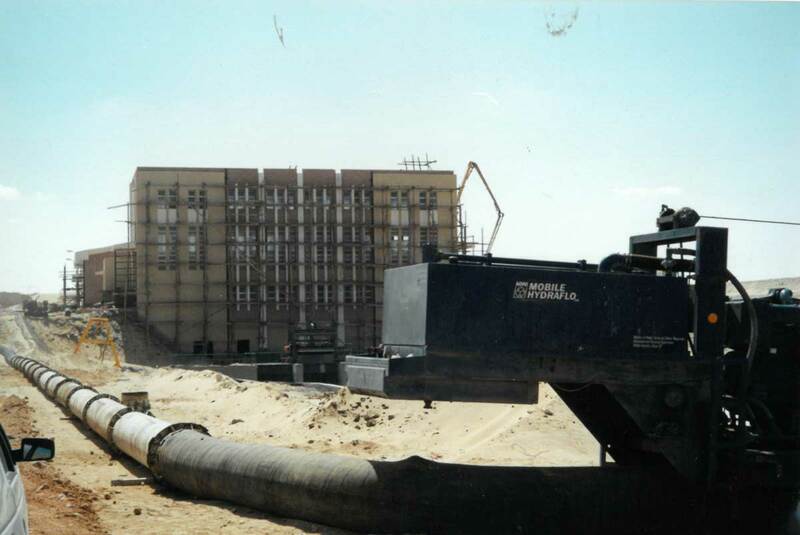 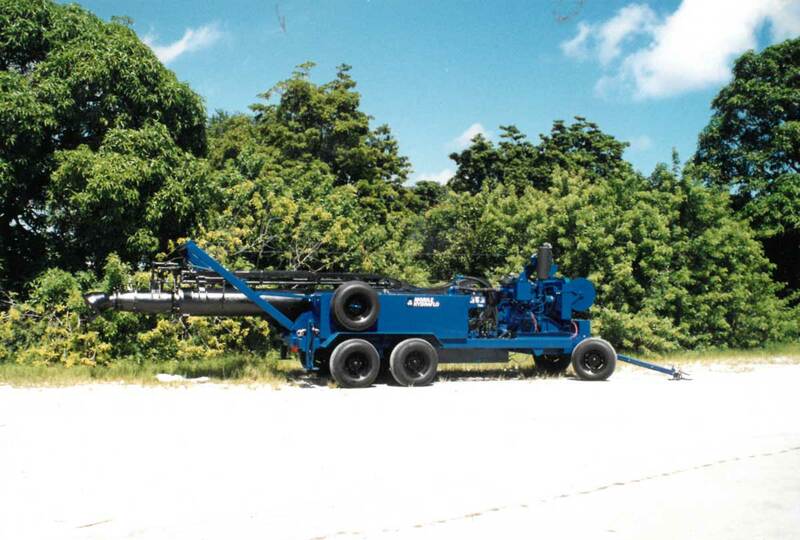 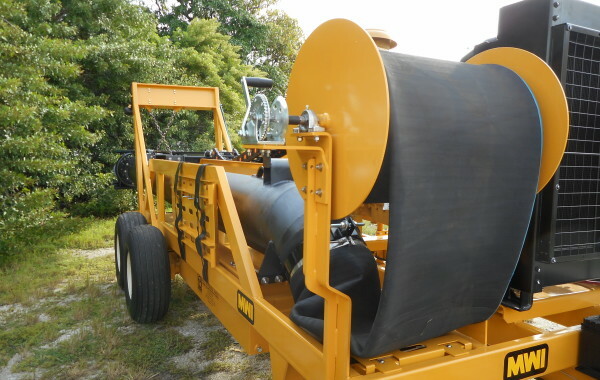 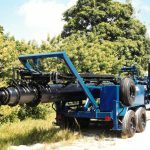 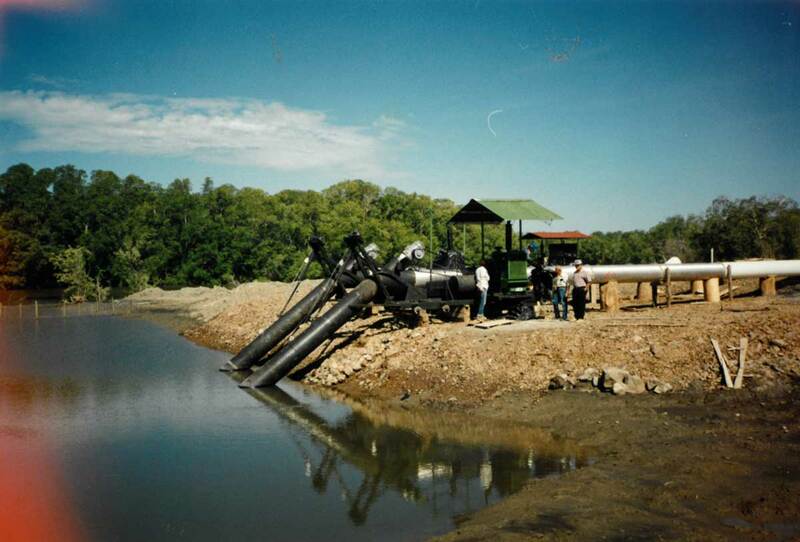 The Mobile Hydraflo™ is easily moved to locations where large amounts of water must be pumped. 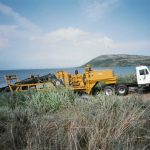 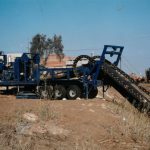 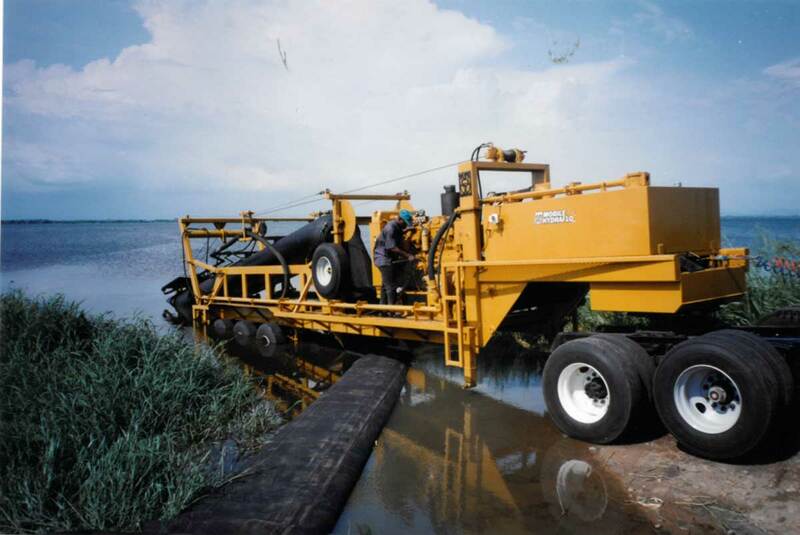 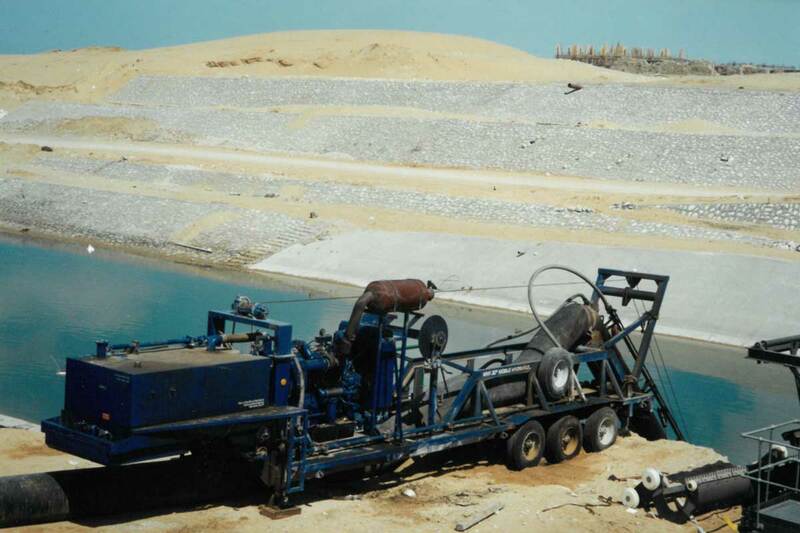 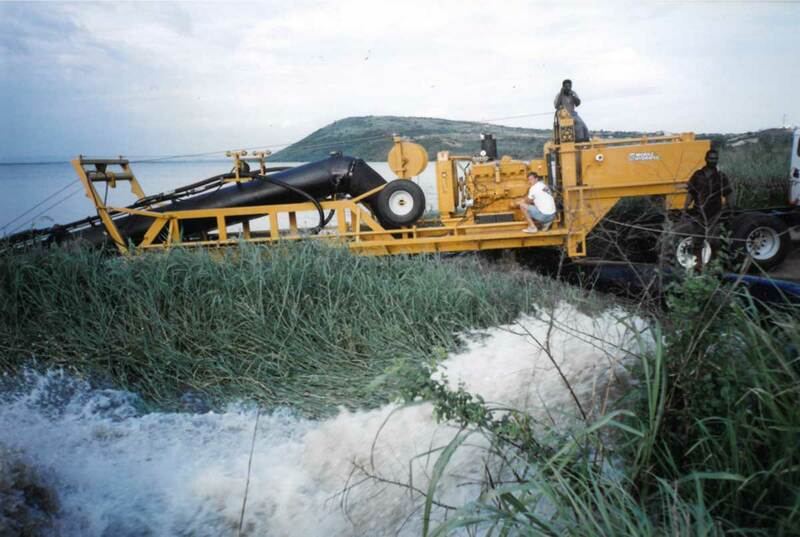 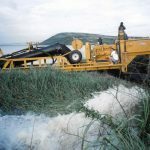 For pumping where space is limited such as dams, levees and dykes, the Mobile Hydraflo™ can be equipped with a 180° turntable mechanism to allow for maximum maneuverability in tight situations. 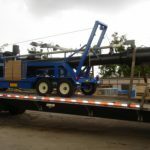 Everything you need is mounted on an over-the-road trailer including the diesel engine, water pump, fuel tank, hydraulic oil reservoir, rigid discharge pipe, flexible discharge hose, and a complete safety shutdown system. 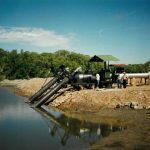 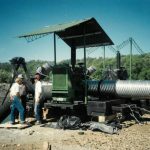 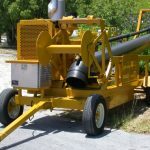 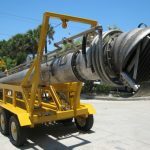 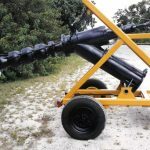 The Mobile Lineshaft pump is a low-maintenance, large volume pump with a right-angle gear drive and your choice of a diesel engine or electric motor. 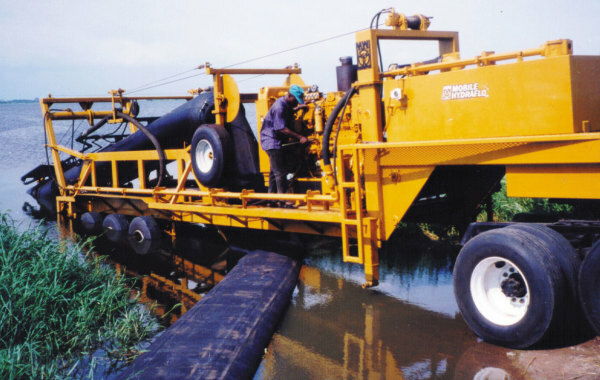 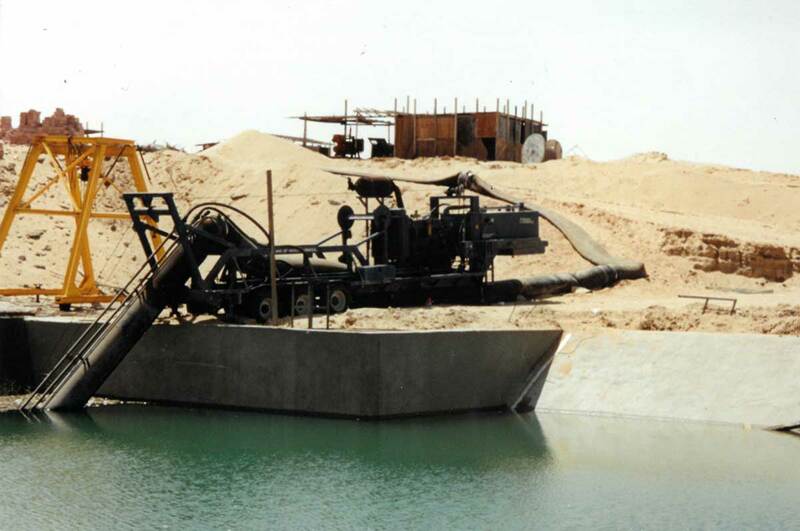 These mobile water pumps are backed by over 50 years of design and manufacturing experience. 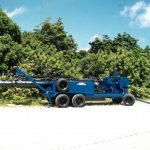 Their frames enable them to be safely operated at all angles without being anchored to a foundation. 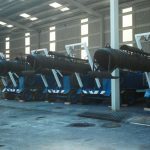 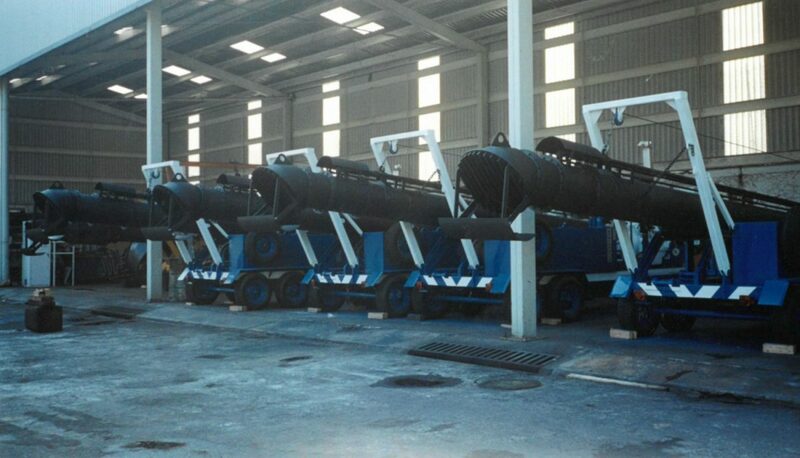 These pumps can be oil or water lubricated. 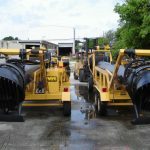 Our Mobile Submersible Electric Pump and Generator is a one-of-a-kind product designed for municipalities and contractors who need emergency lighting, power, and/or large volume pumping in special situations. 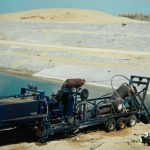 This portable electric water pump system features a submersible electric pump, diesel-powered generator, pump control panel with instrumentation, and telescoping light tower. 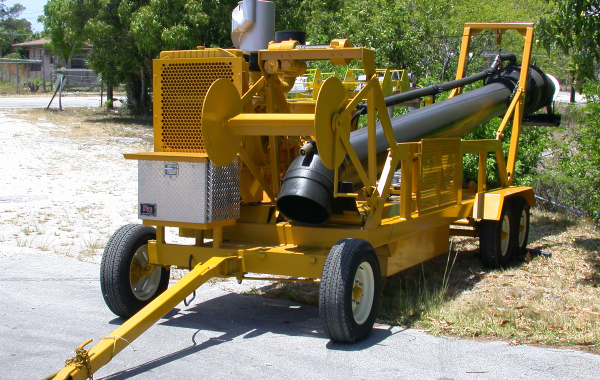 The generator can be used to power auxiliary equipment while pumping or as a full power standalone unit. 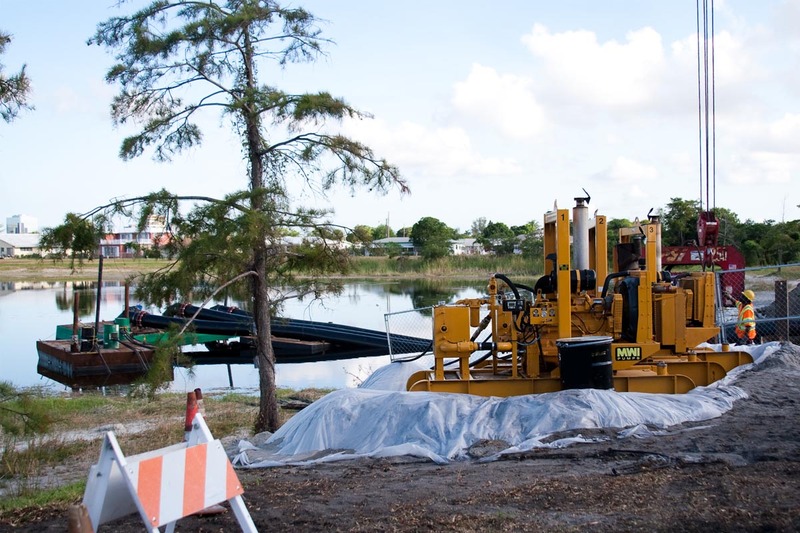 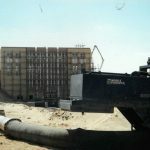 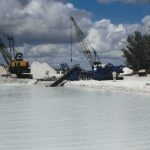 Once the unit has been brought to the jobsite, it can be fully operational in minutes. 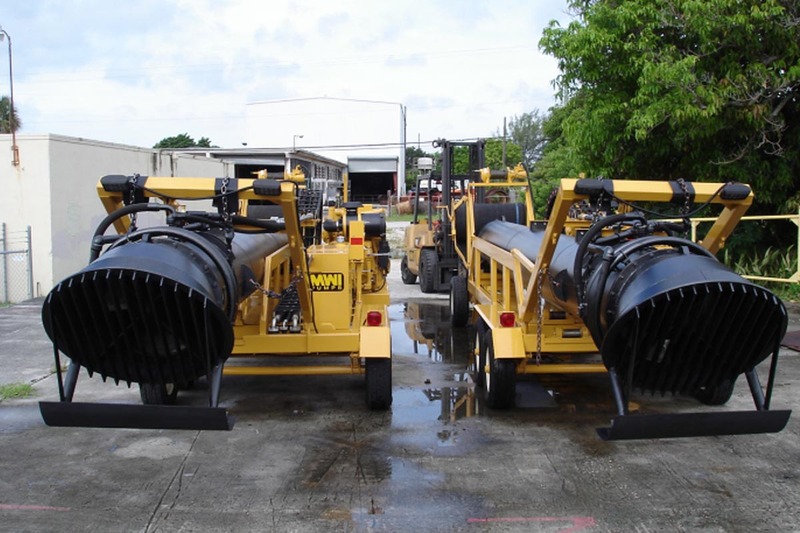 MWI’s mobile pump station can run for 48 hours utilizing the standard 110-gallon fuel tank.